Soldiers, such as these men serving at Fort Sanders near Laramie, were originally tasked with protecting travelers on the nearby Overland Trail from Native American attacks. Later, their primary duty became protecting the workers of the Union Pacific Railroad when it arrived in 1869. 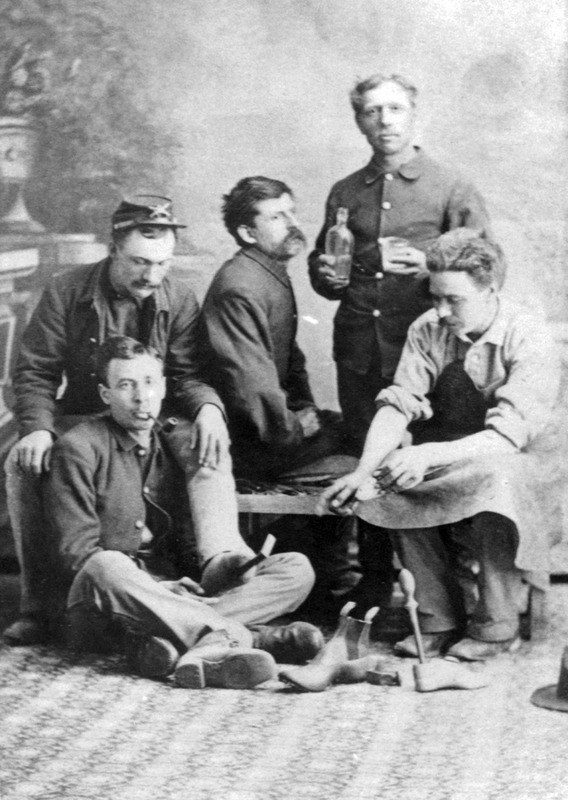 Note the man on the right, who is a shoe cobbler depicted with some of his tools. This photo shows a bit of everyday life at Fort Sanders and highlights the need for craftsmen and merchants at the fort. Learn more about the history of Fort Sanders.